Hampton gets back above .500 in Big South play with a big win. Now it will face the nation’s leading Division I scorer in Chris Clemons. 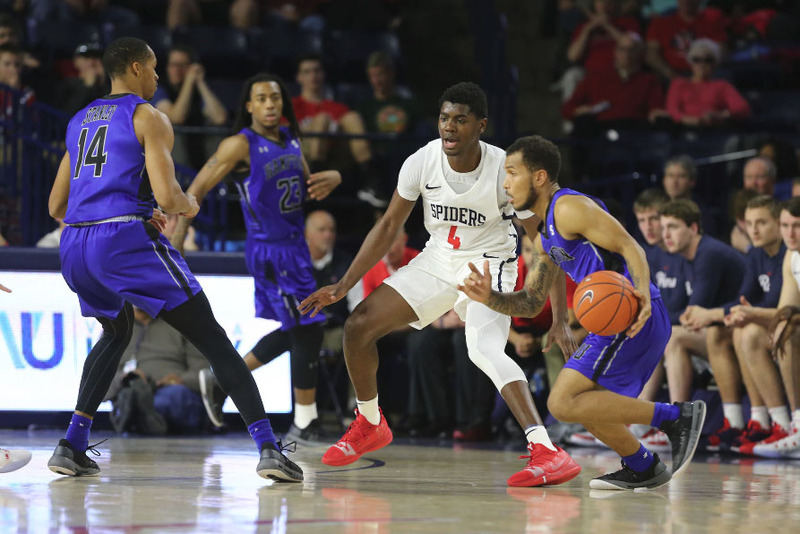 HAMPTON, Va. — Jermaine Marrow scored 26 points and Kalin Fisher added 24 as Hampton used a 26-10 run in the first half to pull away from USC Upstate for an 88-70 Big South Conference win on Thursday night. A sluggish first half saw the teams tied at 10 after the first eight minutes. A Marrow 3-pointer with 9:26 left seemed to kickstart the Pirates as they started on a run. Hampton closed the spurt with a Ben Stanley layup, Marrow 3-ball and Fisher layup to lead 39-23 with 2:18 left in the first half. Lysander Bracey drained a triple just before the halftime buzzer to give Hampton a 47-30 halftime lead. In the second half, Hampton used an 11-2 run to push the lead to 66-41 after a 3-point play by Fisher with 12:19 left. The lead grew to as much as 31 points on a putback by Eugene Marshall, III with 2:16 left for an 88-57 advantage. With his 26 points tonight, Marrow moved into 11th place on the Hampton (8-10, 3-2) all-time scoring list with 1,565 points. He passed Rashad West (1,556/2004-08) and is only 18 points from moving into the top 10 as Tommy Adams is next at 1,582. Fisher also added a career-high eight assists and just missed his career high with five steals. Stanley added a career-best 14 points on 6-of-6 from the floor, while Akim Mitchell chipped in with 10. Deion Holmes topped USC Upstate (5-17, 0-7) with 12 points. Hampton will look to improve its record when it hosts Campbell on Saturday. Campbell is led by Chris Clemons, who leads Division I in scoring with 29 points per game.